How about a Texan yup he is from Nacogdoches, Tx!!! 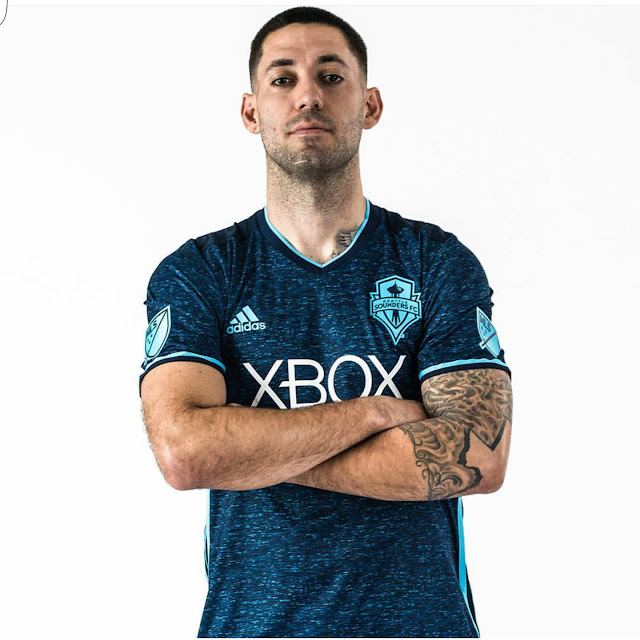 Clint Dempsey #2 for the Seattle Sounders is the Designated Player for the team. "The Captain" for the USMNT. Dempsey is the first American player to score in three World Cup Championships. He had a very successfull run in Europe playing for Fullham and Tottenham. He is a player with perseverance,determination and flare. He is a Midfielder that leads with example. Great to have him back in the MLS. He also raps!!! check him out this was for a good cause portion of the profit of this single goes to the East Texas Food Bank.